Home» Road Tests » Land Rover Defender Contract Hire & Leasing Review. Land Rover Defender – Woefully Awful? But Wonderfully Gorgeous! Looking like a refugee from a war zone, there’s not many vehicles around that have as macho an image as the Land Rover Defender, but similarly, there aren’t many vehicles around that look much like they did over 60 years ago that we still buy today, so the question has to be why do we still buy them when a Land Rover Defenders is such an awful thing? If you’ve ever experienced a “Landy” as the aficionados love to call them, you will know they are old fashioned, uncomfortable, basic, noisy and cramped inside and ergonomics are basically absent, but it seems that Land Rover takes pride in the fact that the Defender is pretty much the same vehicle that was launched way back in 1948, so if you are used to a modern vehicle, prepare yourself for austerity! Our test vehicle was a Defender 90 Pick-Up and I’m not going to waste time explaining what it looked like as if you’ve not seen one at some point in your life, I am sure you can go happily to meet your maker when that day comes, without too much regret about missing out on that experience and if you have seen one at any time in the last half century, you will know exactly what we are talking about.. The vehicles specification and range of safety features is abysmal and in truth, can’t be very much different to the way it was 60+ years ago. Despite hundreds of safety innovations in the last 50 years or so, the “Landy” gets virtually none, relying on its size and weight it would seem to make sure you come off better in a crash than the guy you are going to hit. Everyday things like Airbags are a complete unknown to the Defender and you can’t even specify them as an option. All of the trick electronic things to help us stay safe seem to have passed the Defender by, although the website says you can specify Anti-Lock Braking and Electronic Traction Control, but only as an option mind and at a cost of around £650 extra. Land Rover describes the Defenders interior as “simple, sturdy and highly functional, but truth is there must be better appointed garden sheds around. They say every dial is however clearly visible, every control is easily reached” and yes, I guess that’s true, because there isn’t anything else to get in your way – it has nothing! They say “every surface is resistant to wear and tear as well as climate extremes and the seats are easily stowable to accommodate a variety of loads” and go on to say “you couldn’t ask for a more practical or versatile cabin” and I suppose that’s a bit like an estate agent describing an empty room with Magnolia walls as a blank canvas. After rooting around in the dark to get the key in the lock (as our vehicle didn’t have the optional central locking), we climbed up into the cab, got comfy and did a bit of arm exercise to open the window (as our vehicle didn’t have the optional electric windows) although £375 would have bought you both the central locking and electric windows. We decided we should put some music on before test drive experience (if for no other reason but to drown out the noise of the engine) and were surprised to see there was only a radio, with no CD player or MP3 connection, just a good old fashioned analogue radio, so to add to the ambience and feel of the occasion, we found a channel that just played 50’s music and the whole picture seemed complete, however if you choose to pop a further £325, your Land Rover Defender could come with a single slot CD Player and if your feeling the heat a bit, another £900 can buy you air-conditioning. So, OK guys I have torn this thing apart, but the real truth is it’s absolutely amazing. Nothing but nothing we have ever driven or tested has had so much off road performance and ability as the Defender. The “Landy” is as tough as old boots and it exists to do a specific job. The Defender is unique as it’s an ugly sister in a supermodel world where its siblings are all gorgeous and being chased by the boys, but it doesn’t care. It’s not concerned about the clothes it’s wearing or that it’s not got the toys its competitors have, instead, it’s brimming with confidence because when push comes to shove, the old fashioned Land Rover Defender knows that it can both push & shove and do it in conditions that leave the catwalk beauties for dead. Price wise, the Defender range starts at a little under £16,500 for the basic 90 pick-up, whilst you can spend over £26,000 for something like the XS Station Wagon. It would however be unfair not to talk about the phenomenal residual values that old Defenders command on the second hand market, with some models still making over 50% of what they cost new at 3 years old, with 60,000 miles on the clock and there truly isn’t many vehicles car or van that even come close to that. A quick look in Auto trader shows that at an age where your average family hatch has probably been on the scrap yard for at least 10 or 15 years, the average 25 year old Defender is still being offered at around £3,000 and if you are looking for something with a touch lower mileage, a 26 year old 1985 Defender swb with 72,000 on the clock could be yours for £4,000 (and that’s not the most expensive one) and we are talking about a vehicle here that cost under £8,000 when it was new! So that’s a depreciation or loss on what you paid of £4,000 in 26 years which works out at around £153.84 depreciation a year!!!!!! Beat That One! From an economic perspective, the Defender makes great sense, primarily because the ticket price isn’t high, yet its second hand values are incredible. OK, it’s not super frugal on fuel, but it still stacks up, with Land Rover claiming a 28.3mpg combined average and yes, I appreciate the Co2 is higher than your average family hatch, but the Defender is a vehicle that’s going to outlast any regular car by a country mile, so its one you can keep for years, or even decades and if you did that, its manufacturing impact on the planet is so reduced. If I needed a proper off roader, would I buy one? Absolutely in a heart beat as nothing comes even close to doing the job the Defender does as it wasn’t built for driving down the Kings Road in Chelsea, It was built for people who want a vehicle that absolutely must perform, that said, the Landy is a “cool” vehicle. If you want to pull a 3.5ton trailer legally or maybe drag a horse box across a muddy boggy field or perhaps cross a stream or small river up to 1m deep, just forget all your glossy 4×4’s as none will be as good as the Defender and to paraphrase Tina Turner “it’s simply the best”. 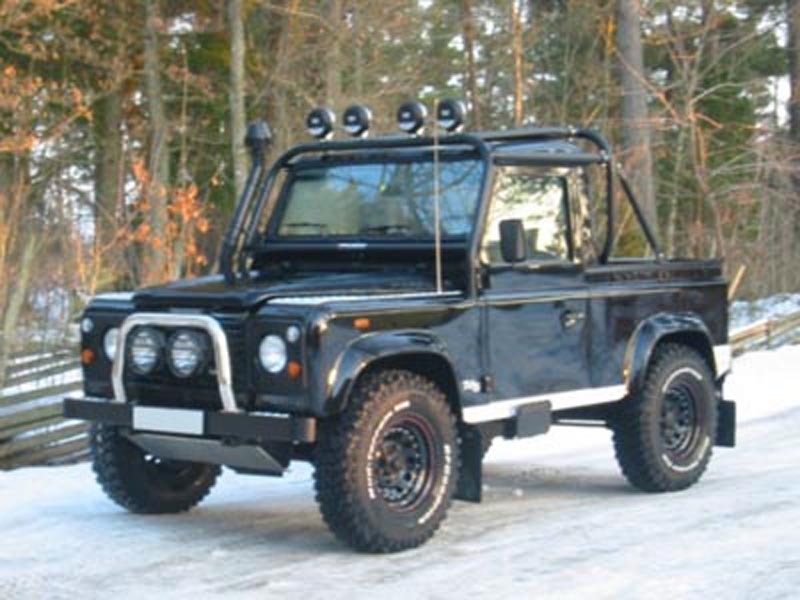 For a quotation on the Land Rover Defender, or on any other vehicle, please contact us.